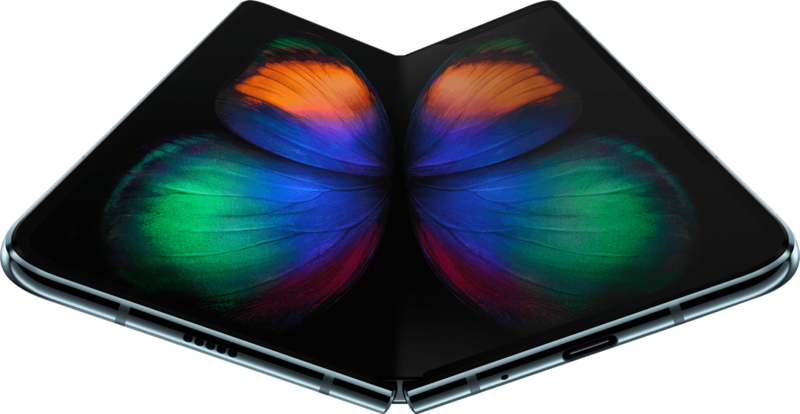 Samsung has unveiled its first ever folding smartphone - the Galaxy Fold. Today’s at Samsung’s Unpacked launch event in San Francisco, alongside the much awaited Galaxy S10 line-up of phones, the company has revealed its first ever folding smartphone. The Galaxy Fold includes the same high-performance innards as the Galaxy S10. The key feature of the phone is its dual-screen design: a 4.6” cover display, and a foldable 7.3” main screen. 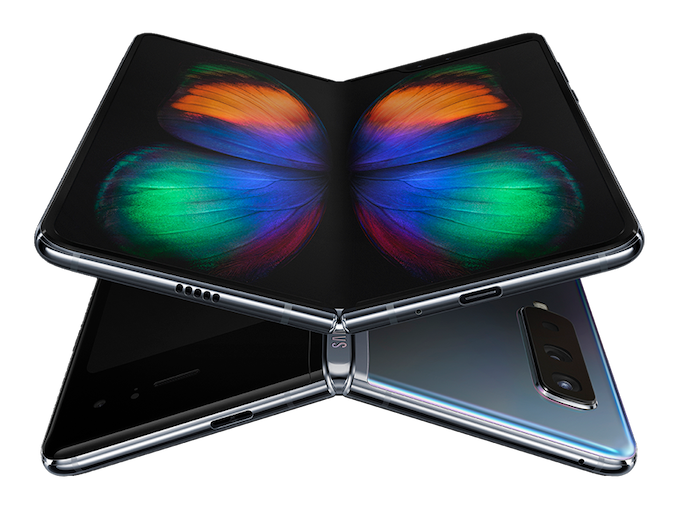 Samsung has put a lot of engineering into the folding design, especially on the mechanical hinge which had to be extremely durable in its implementation. Samsung’s software is said to be optimised for seamless application switching between the cover display and the main foldable display. Samsung further demonstrated three-way app multi-tasking, taking advantage of the larger screen. 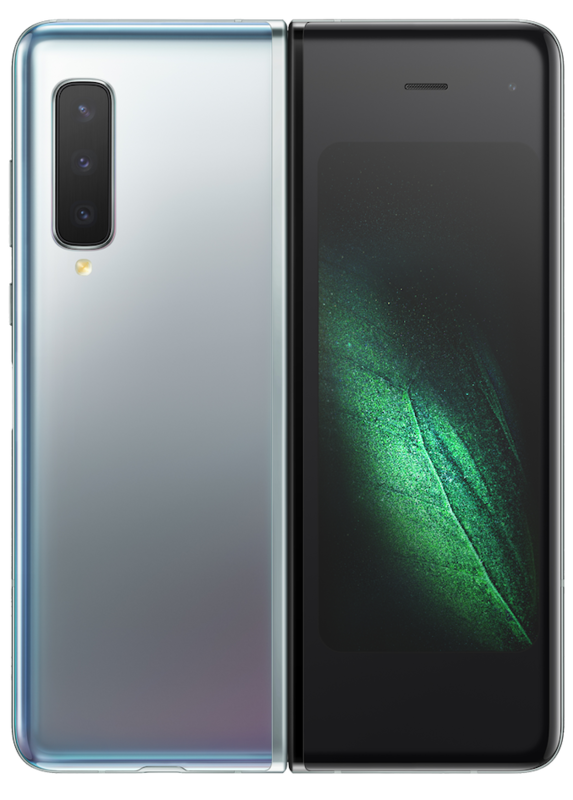 In the presentation event, the phone looked relatively rough in its design, seemingly twice as thick as a regular phone when folded. So it's not too surprising then that Samsung is not officially disclosing the dimensions of the phone at this time. Samsung’s pricing for the novelty phone is also quite shocking, coming in at $1980/2000€. 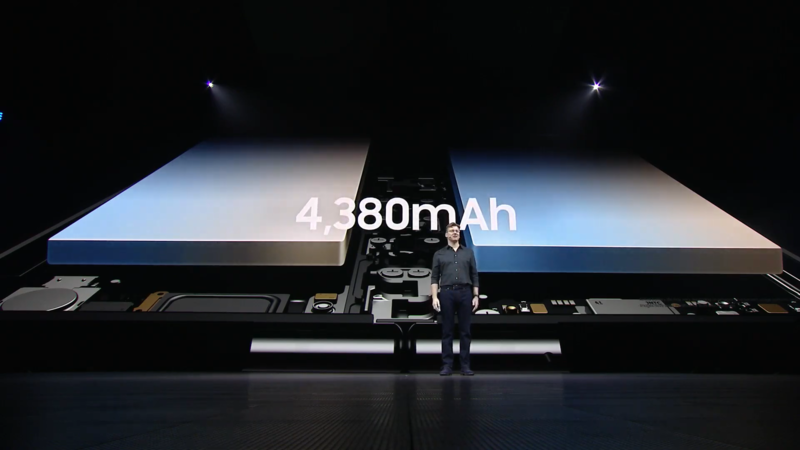 Wow -- Samsung has knocked it out of the park. 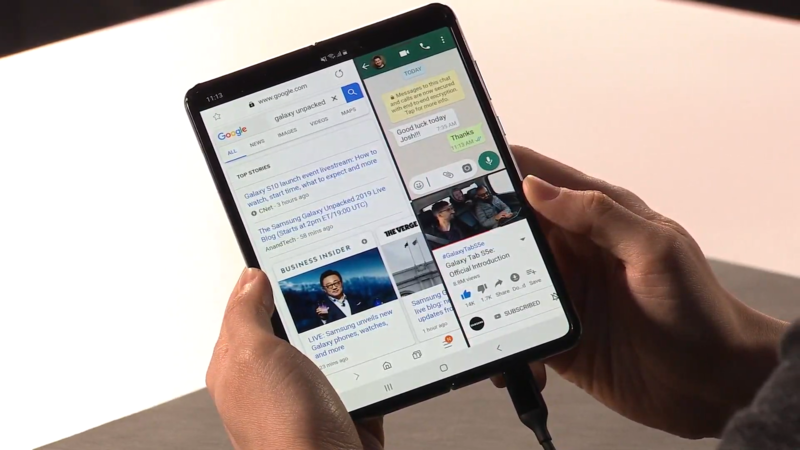 Yup, it's expensive but what I'm most impressed with is just how well the folding technology is integrated into Samsung's version of Android. Not the point. The only new feature is the screen. It is still a phone. It is not doing anything more than another smart phone except providing a wider screen. The point is at which point people are not going to support a company/product. Apple was already disconnected with their iPhone XS, but this a totally new level of indecency.